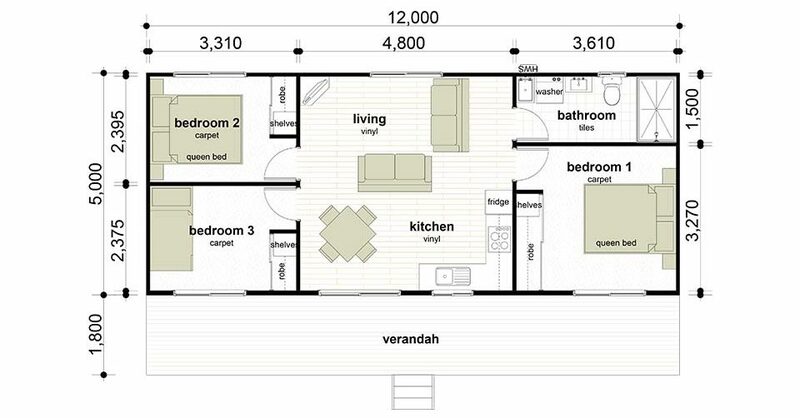 Wow - three bedrooms in 60m2 and still with room to move! This is our most compact three bedder. 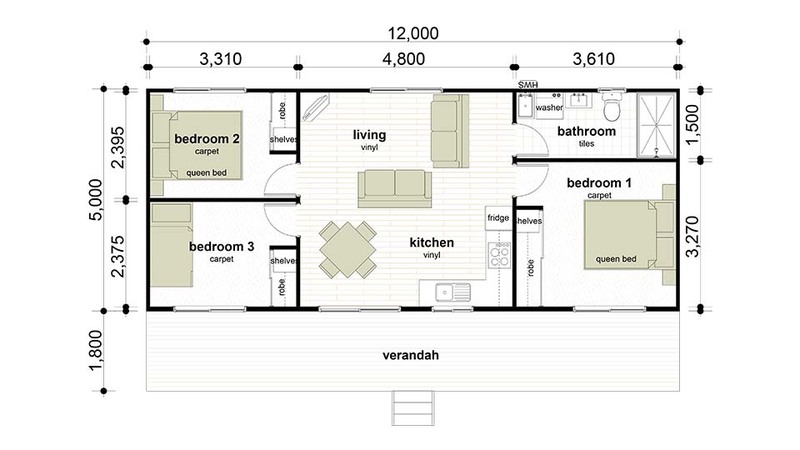 The optional front verandah adds extra entertaining space for those summer BBQ’s.